Get ready to immerse yourself in one of the most diabolic letter appearances ever created. After entering this course you will be able to make with your own hands everything necessary to create God's Creation. However this publication is much more than that. Evolution of the main idea of God's Creation from its beginnings to the end. 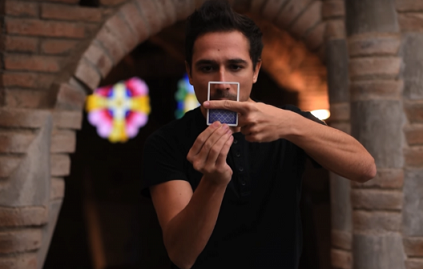 Creative methods to create Magic for the professional magician. Detailed construction of the entire gimmick step by step. We will see how to do it from 0 and will be a gimmick that will last forever. Over 40 minutes of detailed tutorial, we will go hand in hand to understand every subtlety and every millimeter. Everything necessary to execute this wonderful effect, what each hand and each finger (and why) performs, several camera angles. Various frame thicknesses. analyze every small detail to be prepared for any situation. Angles, lighting, etc. Final details about the magical inspiration I have drunk and final thoughts about magical creativity that will allow you to have a vision of Magic as very few magicians.